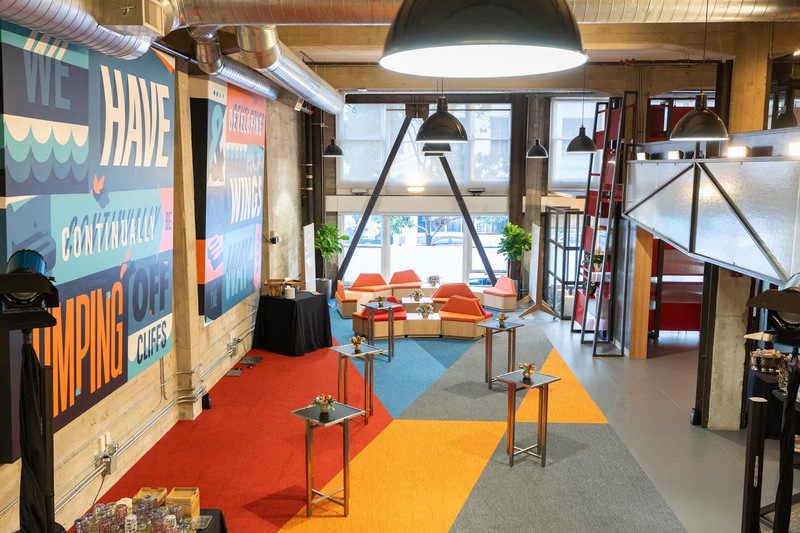 Google's Developer Relations team is opening a new innovation space at 543 Howard St. in San Francisco. By working with more than a million developers and startups we've found that something unique happens when we interact with our communities face-to-face. 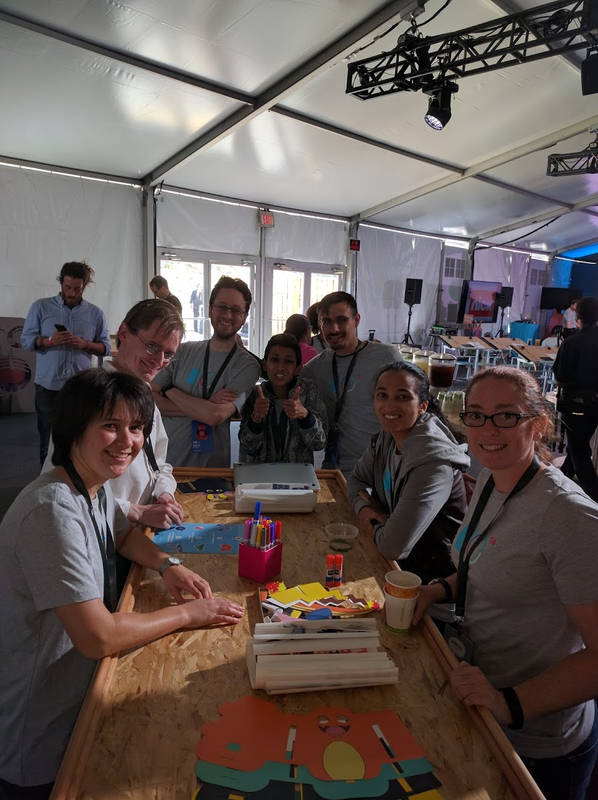 Talks, meetups, workshops, sprints, bootcamps, and social events not only provide opportunities for Googlers to authentically connect with users but also build trust and credibility as we form connections on a more personal level. 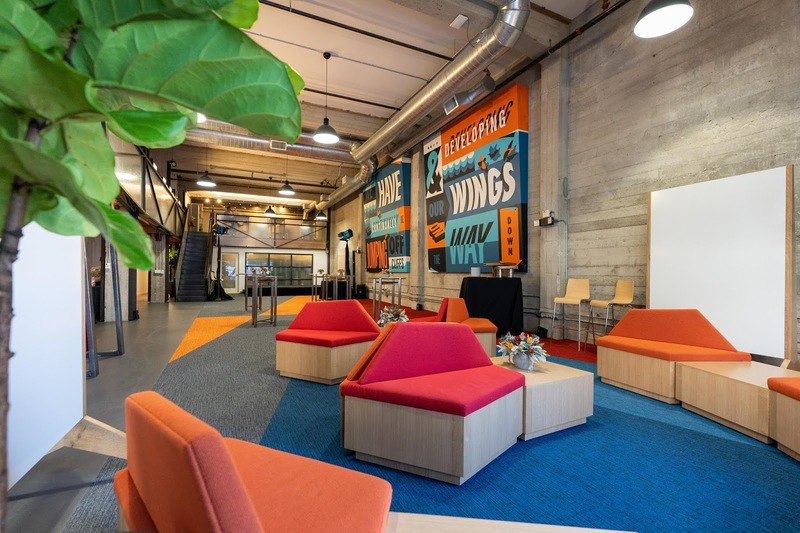 The space will be the US home of Launchpad, Google's startup acceleration engine. Founded in 2016 the Launchpad Accelerator has seen 13 cohorts graduate across 5 continents, reaching 241 startups. In 2019, the program will bring together top Google talent with startups from around the world who are working on AI-enabled solutions to problems in financial technology, healthcare, and social good. 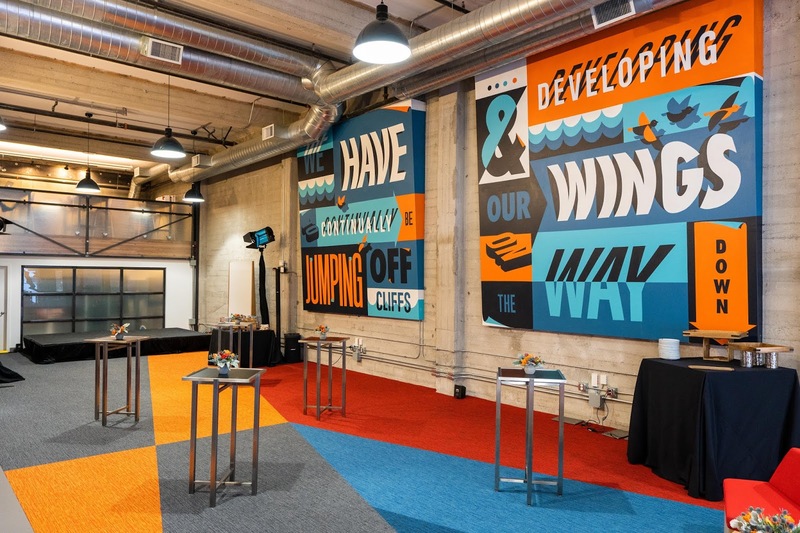 In addition to its focus on startups, the Google innovation space will offer programming designed specifically for developers and designers throughout the year. For example, in tandem with the rapid growth of Google Cloud Platform, we will host hands-on sessions on Kubernetes, big data and AI architectures with Google engineers and industry experts. Finally, we want the space to serve as a hub for industry-wide Developer Relations' diversity and inclusion efforts. And we will partner with groups such as Manos Accelerator and dev/Mission to bring the latest technologies to underserved groups. 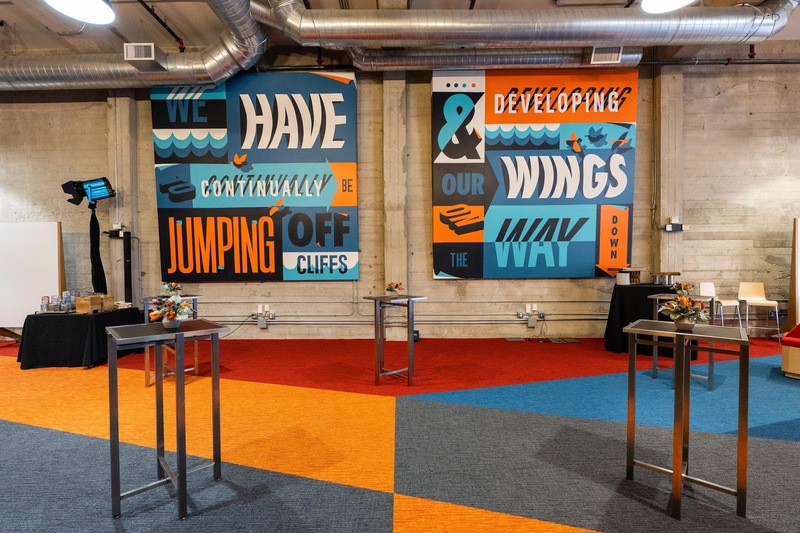 We designed the space with a single credo in mind, "We must continually be jumping off cliffs and developing our wings on the way down." The flexible design of the space ensures our community has a place to learn, experiment, and grow. 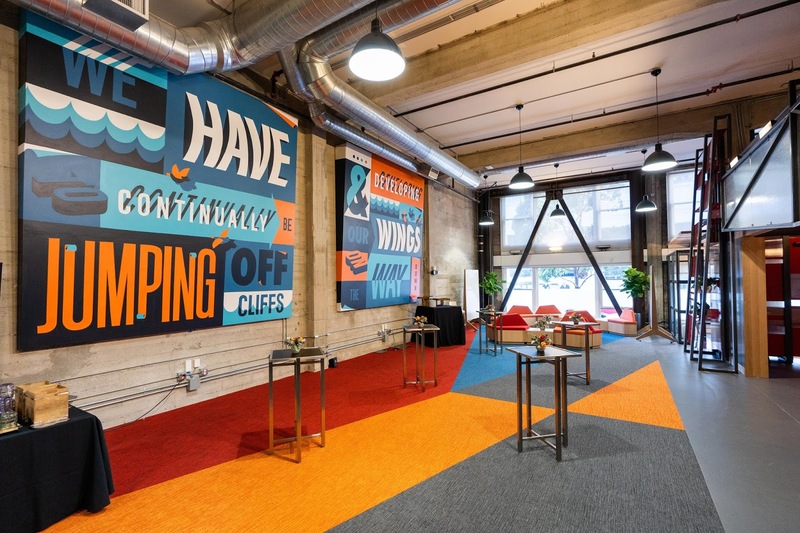 For more information about our new innovation space, click here. Coding is a powerful tool for creating, expressing, and understanding ideas. That's why our goal is to make coding available to kids around the world. It's also why, in late 2015, we decided to collaborate with the MIT Media Lab on the redesign of the programming blocks for their newest version of Scratch. Left: Scratch 2.0's code rendering. Right: Scratch 3.0's new code rendering. Scratch is a block-based programming language used by millions of kids worldwide to create and share animations, stories, and games. We've always been inspired by Scratch, and CS First, our CS education program for students, provides lessons for educators to teach coding using Scratch. And this is where the Blockly team at Google came in. Blockly is a library that makes it easy for developers to add block programming to their apps. By 2015, many of the web's visual coding activities were built on Blockly, through groups like Code.org, App Inventor, and MakeCode. Today, Blockly is used by thousands of developers to build apps that teach kids how to code. One of our Product Managers, Champika (who earned her master's degree in Scratch's lab at MIT) believed Blockly could be a great fit for Scratch 3.0. She brought together the Scratch and Google Blockly teams for informal discussions. It was clear the teams had shared goals and values and could learn a lot from one another. Blockly brought a flexible, powerful library to the table, and the Scratch team brought decades of experience designing for kids. Champika and the Blockly team together at I/O Youth, 2016. 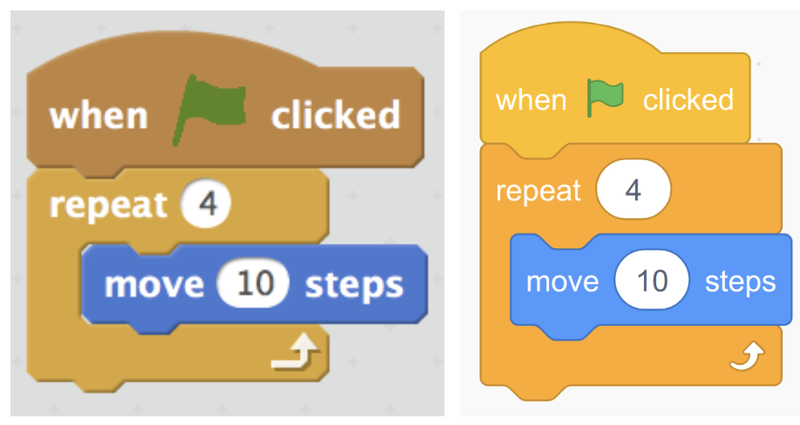 Those early meetings kicked off three years of fun (and hard work) that led to the new blocks you see in Scratch 3.0. The two teams regularly traveled across the country to work together in person, trade puns, and pore over designs. Scratch's feedback and design drove lots of new features in Blockly, and Blockly made those features available to all developers. On January 2nd, Scratch 3.0 launched with all of the code open source and publicly developed. At Google, we created two coding activities that showcase this code base. The first was Code a Snowflake, which was used by millions of kids as part of Google's Santa Tracker. The second was a Google Doodle that celebrated 50 years of kids coding and gave millions of people their first experience with block programming. As an added bonus, we worked with Scratch to include an extension for Google Translate in Scratch 3.0. With Scratch 3.0, even more people are programming with blocks built on Blockly. We're excited to see what else you, our developers, will build on Blockly.